We're so glad to be home today! 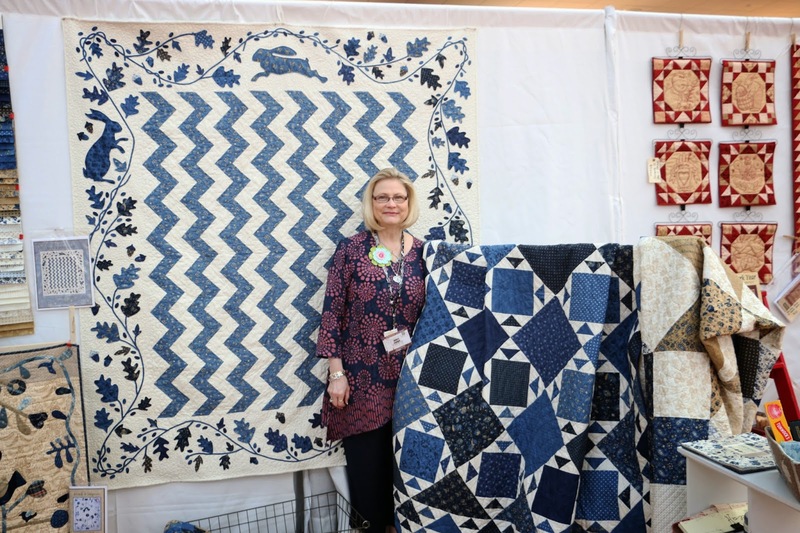 After a weekend of new quilting finds, collections, patterns, books and much more, Kimberly has gathered her favorite finds from Spring Quilt Market. We're also going to show photos of all the staff's favorite collections. So get ready for some inspiration to get your creative juices flowing and check out this year's Favorite Finds video! 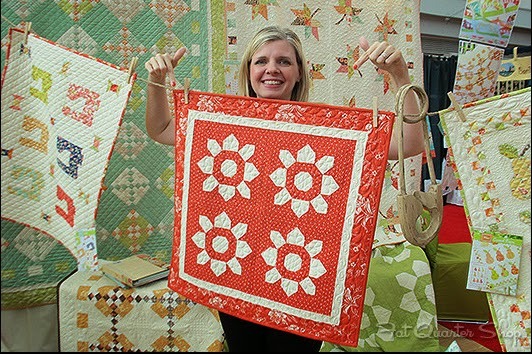 Kimberly adores this Blossom Mini pattern from Fig Tree and Co. (yes, we'll have it); it's in Joanna's new fabric, Somerset. 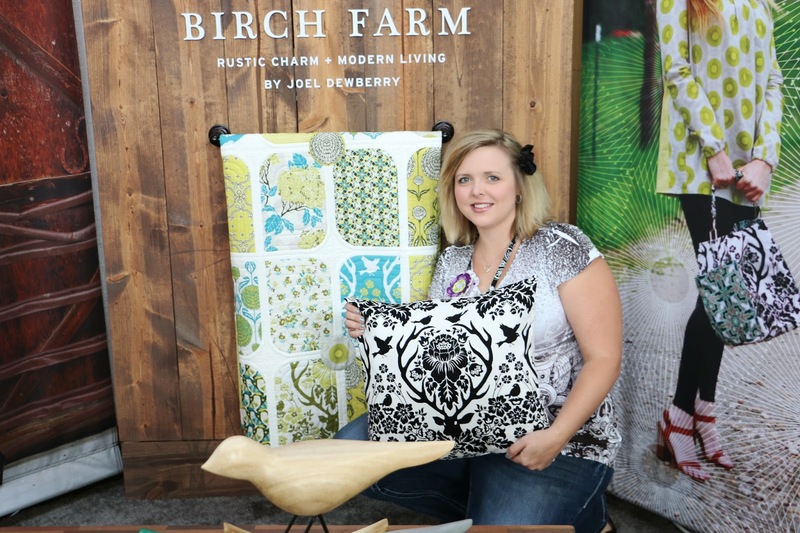 Codi is getting back to nature with her pick, Joel Dewberry's Birch Farm. 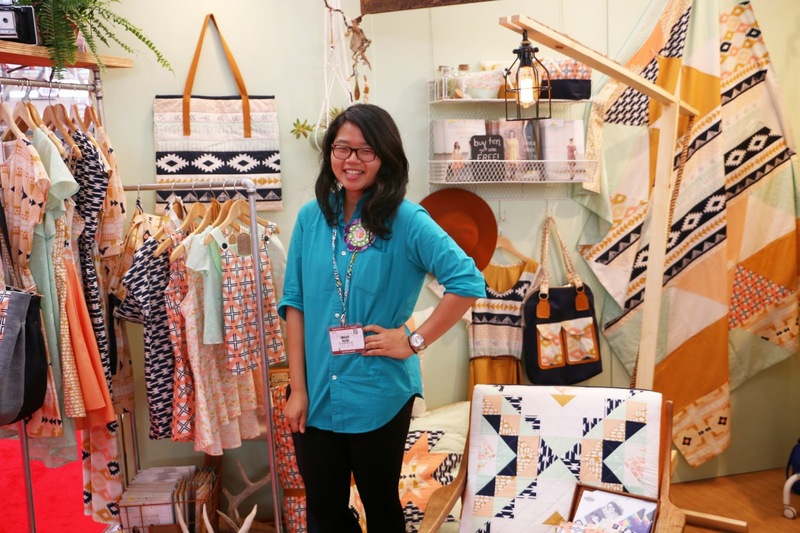 She can't resist its rustic charm and modern prints. Jocelyn chose the sweet, whimsical yet sophisticated Brambleberries collection by Violet Craft for Michael Miller Fabrics. Cheryl's always been a "true blue" fan, and Lexington by Minick & Simpson fits the bill perfeectly! 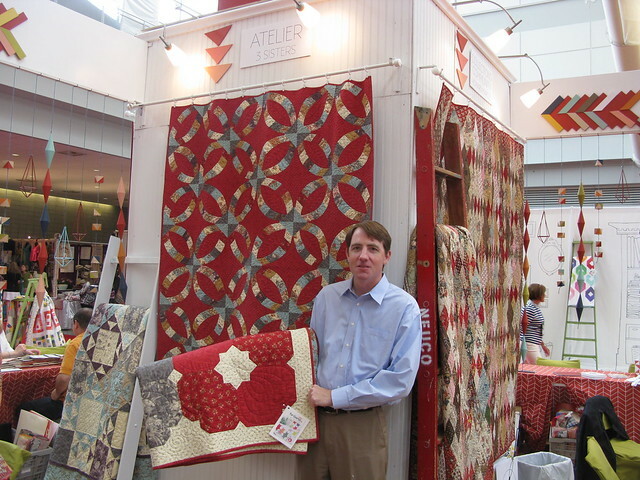 Kevin's top pick is 3 Sister's Atelier. The addition of aubergine to the classic red, aqua and cream palette is stunning. Sarah loves the new BasicGrey line Persimmon. It's a fantastic combination of striking colors and delicate prints. Daniar fell in love with April Rhodes' modern Native American prints from the Arizona line for Art Gallery Fabrics. 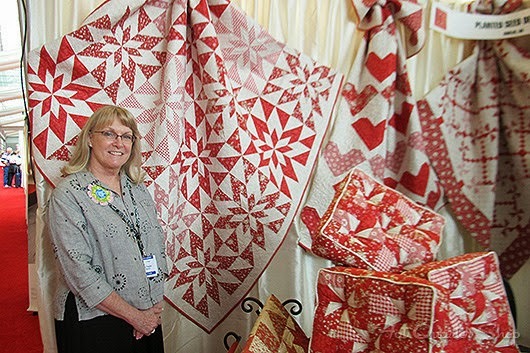 Debbie loves the classic combination of red and white, no wonder Gerri Robinson's collection With All My Heart is her pick. 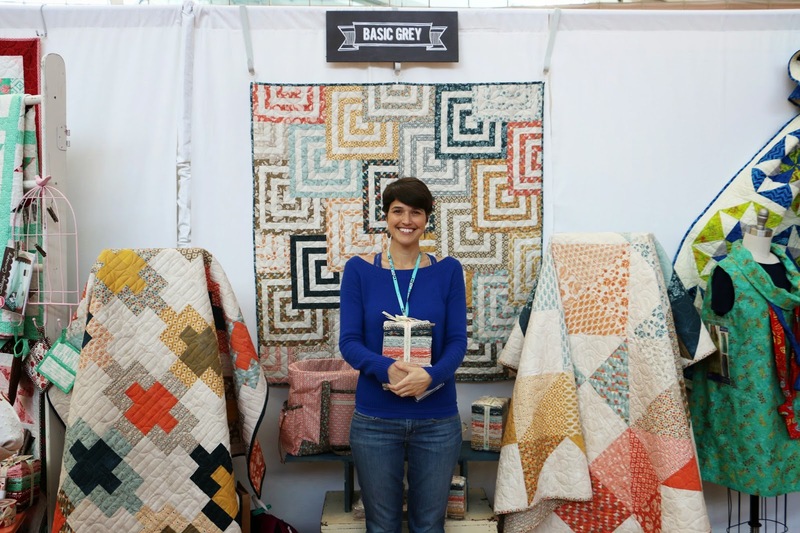 Last but not least, Kimberly's top 10 Favorite Finds video from this year's Spring 2014 Quilt Market! Did any of Kimberly's favorite finds make it to your favorites list? Let us know which ones are your favorites from Market. 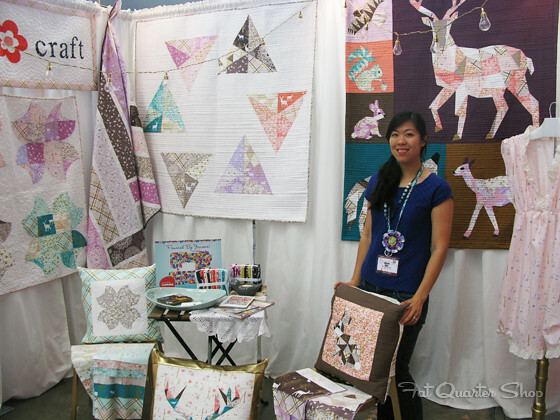 Be on the lookout for upcoming new fabrics, book, and patterns coming up in the Fat Quarter Shop. We'll be adding them as fast as we can to our Coming Soon page. As for all of our Market giveaways, we'll post them all in tomorrow's Giveaway Winners Post!